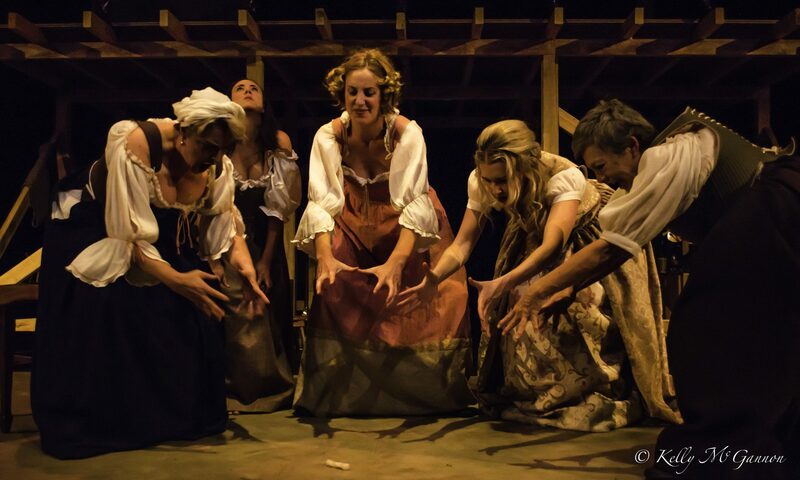 Winner of a Canberra Critics’ Circle Award for excellence, Pigeonhole Theatre’s production of Summer of the Seventeenth Doll was loved by audiences and critics alike. Ray Lawler wrote the iconic Summer of the Seventeenth Doll in the fifties, but that doesn’t mean the spirit has gone out of it. It’s hard to say just what has kept audiences gob-smacked for over half a decade – perhaps it is the stark realism, or the setting of endless, grinding Summer or the sheer emotional density of the thing — but there’s no denying Summer of the Seventeenth Doll still stands as one of Australia’s most praise-worthy plays. Just about every Australian knows about “The Doll”, but not everyone has had the opportunity to see it. It is a play that has become part of Australia’s history and psyche and one that every Australian should see. Set in Melbourne in 1953 the story takes place in the lay off season when Queensland cane cutters Barney and Roo travel south again for a summer of fun and frivolity with city barmaids Olive and her friend Pearl. However, this summer is different to the summers that came before; it is full of tensions, strains to recreate lost youth, as they struggle to recapture the magic of the past. A play about passion, expectations and disappointment, Summer of the Seventeenth Doll tells how life’s illusions — both public and private — inevitably shatter.